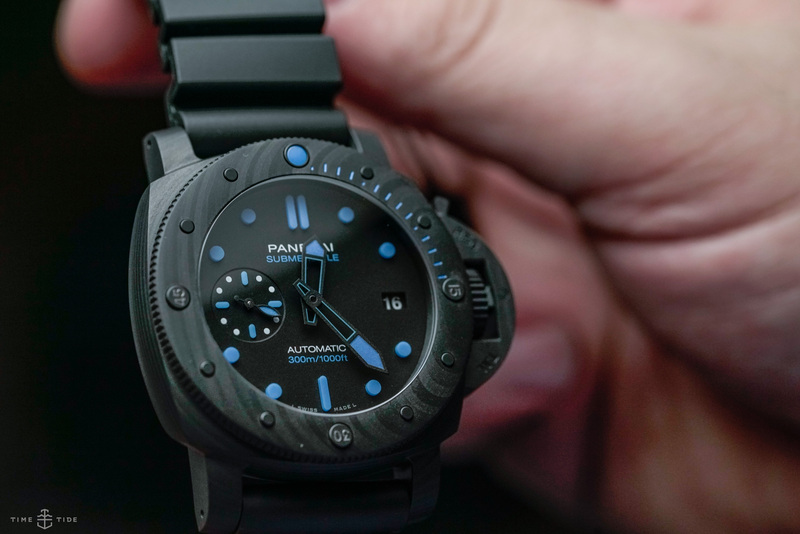 The pricing has raised eyebrows, but there have been zero complaints about the imaginative styling and colourway chosen for the next gen of the Panerai Carbotech, which expresses itself here with an entirely new handset. The 42mm case size will open this stealthy, stylish watch to a new audience. The ingenious ‘timezoner’ complication, which allows you to change time zones with a twist of the bezel, is so simple to read and to use that it’s little wonder IWC purchased another brand — Vogard — to acquire it. A dramatically more affordable Freak was the main story for Ulysse Nardin this year, and it has opened the eyes of a large new group of potential wearers — me included. Of the black, petrol blue and two-tone offerings, I couldn’t go past the urban appeal of black.